Will Your Insurance Cover Your Medical Bills After A Motorcycle Accident? Motorcycles look cool, and they are fun to ride. If you do ride, however, please do one thing before you get on the bike again – check your motorcycle insurance! I don’t have to tell you that motorcycles can be dangerous. And even if you’re the most skilled driver ever, you can’t control other drivers on the road. And too many times, negligent drivers end up not having enough insurance to cover claims for the people they injure. Specifically, you should check your insurance policy to see how much underinsured motorist (UM) coverage you have. This the insurance that protects you if you’re injured by a negligent driver that doesn’t have enough insurance to cover your claim and you purchase it yourself when you get your own policy. Do your best to maximize your UM insurance. Unfortunately, statistics show while the fatality rate for cars and light trucks was less than 10 per 100,000 vehicles in 2015, for motorcycles, the fatality rate was over 57 per 100,000 vehicles. That is a staggeringly large difference – and I’m sure you feel and see it every day. So I’d recommend getting way more than the minimum $15,000 in UM coverage. After all, a single surgery or a night in the hospital can land you a bill higher than $15,000. I hate being a “Debbie Downer,” but for you need to think about you and protecting you because other drivers don’t. And if you’ve been involved in a motorcycle accident in St. Charles Parish, Jefferson Parish, Lafourche Parish, St. John Parish, Orleans Parish, or another parish in Louisiana, give Loyd J. Bourgeois, LLC a call at (985) 240-9773. 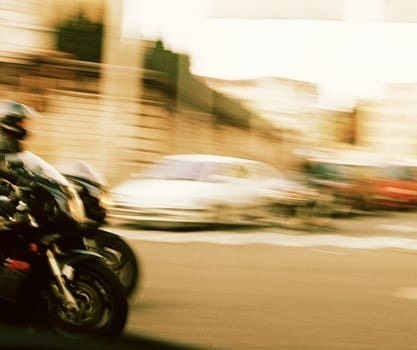 If you have questions about your Louisiana motorcycle accident case, you can download a FREE copy of Loyd's book, The Quick Guide to Louisiana Accident and Injury Claims from our website.